STEWART AIRPORT(CZST) | Оценка: 5! Even though there is a theoretical ground resolution texture limit in FSX/P3D, Russ White has managed to introduce a new method of building airport terrain in which he can exceed what was thought possible in flight simulation - an insane 2cm per pixel ground resolution, and without any real performance penalty! Revel in the beauty of this amazing location on the fork of a river surrounded by sheer walls of mountains. This breathtakingly picturesque setting is home to an airport of exceptional character, and Russ has interpreted it with wear and tear, rust, grime and the sands of time. 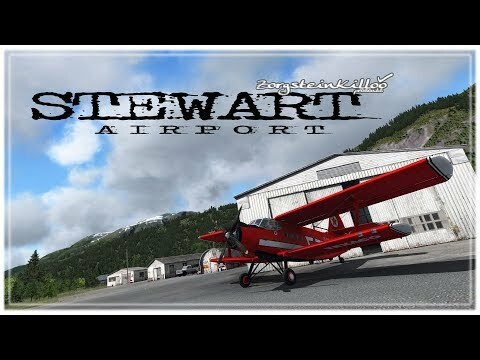 There is nothing like CZST Stewart Airport in any simulator and you owe it to yourself to visit this and shake your head in wonder. It really is that good.